Got this phone last June 2015, so far I'm having problems with random freezing (i had to remove battery), the default internet browser crashes anytime (ecen,store web browsers are trash too, websites get broken). That one camera captures and records in high quality even it only had a fairly low megapixel. Battery is really solid for me. Now with the issues and setbacks, I got the 512mb RAM variant, so I can't upgrade to Win 10. No video call support too, I'm fine using that one camera at the back but giving us 100% no support/no compatibility for video calling across all apps? Thats terrible. For a budget phone,I think its not an for them to remove the front camera. Very limited apps in the store for this particular phone. Not sure if i can benefit using 4G in this phone since it cannot do livestream/video call. Browser crashes, youtube only loads 480p (4G is overkill here). But hey this is budget phone what can I say? 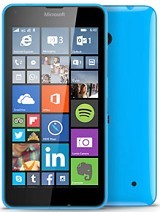 Just tried this phone but look, there are better phones than this Lumia 635 within the price bracket. Not good budget phone in long run overall. 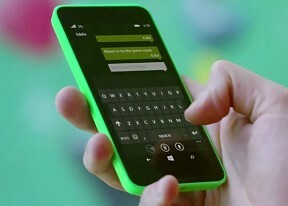 Windows phone OS make this worst. 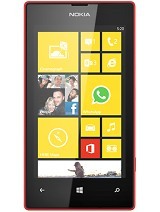 Bottomline: Good hardware (snapdragon, glonass,4G, corning gorilla,glass) but bad software. it worked good when I bought it. after some months problems were started, suddenly apps stopped working and time by time all the apps got uninstalled automatically. I( do want to know clearly about this problem please suggest me a good answer. I've got this phone and works very well.The RAM memory is 1GB.Sometimes, the phone freeze because doesn't has enough internal memory, so you have to back up your media and reboot the operative system. if you make this you solve the problem! How can I see without opening the box, if the Lumia 635 has 512MB or 1 GB of ram, does anyone know in this forum or does GsmArena know how? Also, I saw that the messages were shown at the beginning of the chat, but I still can't figure out a reason. After last automaticall updates - the line, where sms are written are not seen, I cant really write sms, because I dont see what I write. Have you had something like that? What to do? How do youget the MMS to work on this phone. Done everything and still not go. Help please. it worked good when I bought it. after some months problems were started, suddenly app store stopped working and time by time all the apps got uninstalled automatically. I( do want to know clearly about this problem please suggest me a good answer. When you go to a webpage it will randomly without touching anything go back to main menu or previous webpage. Making it impossible to read a blog or do any research because it will go back and leave the webpage you were on & also erasing your history. Very frustrating & useless internet phone. How do you make the camera front facing? 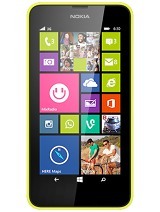 Please sir, i cant access my sim and network is not working on my nokia lumia 635. Please help me what can i do. I've had this phone for about a year and it is the worst thing ever DONT buy this phone you will regret it. Any music in a playlist can't is played and says 'Sorry, this song is not available on your phone. To play it here, copy the song from your PC to your phone.' Even to download an app you have to make a Microsoft family I had to make one and it took all day I had to make my sister my parent because my parents aren't good with technology. That's just the tip of the iceberg the reason I'm so angry is the 'little' bug when you have to reset your phone because the lock/power button breaks and when you lock your phone it turns off. The only good thing about the phone is nothing. Get a Samsung or iPhone don't waste your money on this. This is a real review not the fake reviews from google from the people that had it for like a month.